I am a committed container gardener for both flowers and vegetables, but today I’m focusing on flowering plants. I firmly believe growing in containers is a fantastic way to enjoy a beautiful landscape and garden. There are a couple of reasons for this, and one is that you don’t have to weed -- well, not as much. Also, container plants are ideal for small yards or for people who live in apartments and only have balconies for their plants. I’ve found that you can grow more flowering plants and harvest more vegetables in a lot less space with containers than in-ground vegetable gardens. I’d like to share a few of the combination containers I’m maintaining this summer. 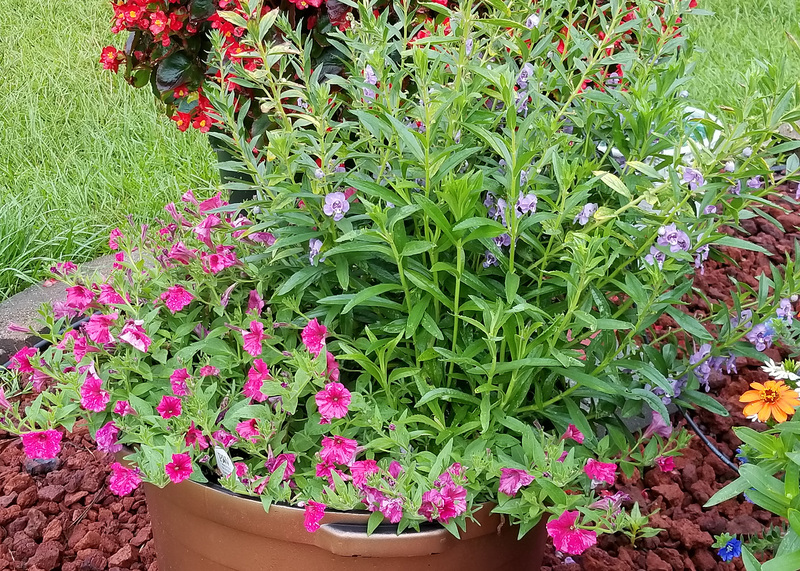 In one, I’ve combined two great summer plants: angelonia and Supertunia. Angelface Steel Blue angelonia makes a fantastic vertical accent. It has good branching with extra-large, silvery-lavender flowers. Supertunia Vista Paradise has gorgeous watermelon-pink flowers with salmon undertones. This plant fulfills its role as both a filler and a spiller. In another large container, I’ve combined two plants that both have a spreading and trailing growth habit and let them intertwine. New Wonder scaevola, also called fan flower, is heat-loving, and I’ve planted it in blue, pink and white. The flowers make scaevola look delicate, but the plants are really tough. New Wonder’s partner is Blue My Mind evolvulus. This plant has true blue flowers and is perfect for the western exposure in which I grow them. It produces flowers in great numbers, so it’s a relief that deadheading isn’t required. 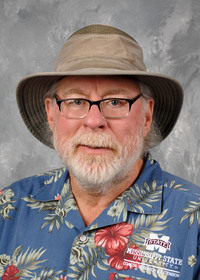 Now, the last plant combination I’m going to tell you about is a lesson in why you must choose compatible plants. I thought a great combination would be the low-growing purple foliage of Plum Dandy alternanthera and the golden-yellow flowers of Golddust mecardonia. These two played well together for about two weeks. After that, the Plum Dandy totally took over the container, which, by the way, still looks great. 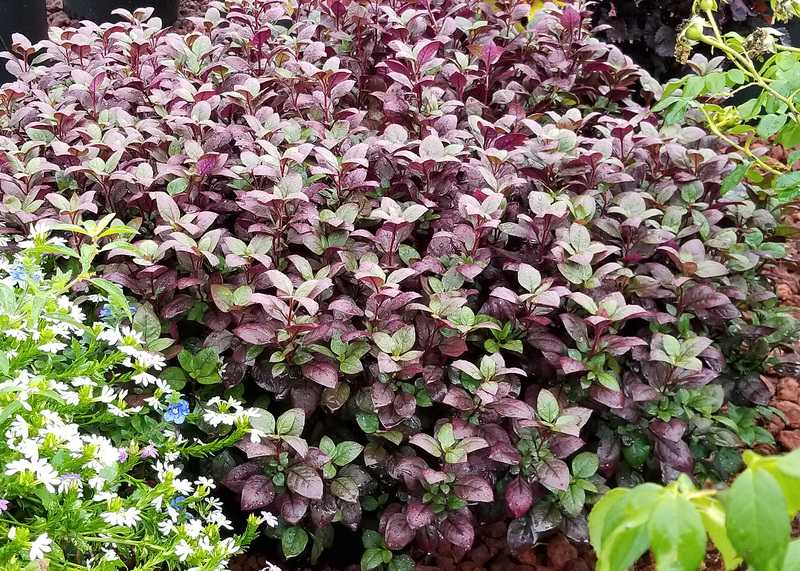 For the best growth and flowering performance in containers, always use a “soilless” peat-based mix. Potting mixes for containers need to be light and airy and drain well. Bagged mixes for container plants are often called potting or container mixes and have no soil at all. 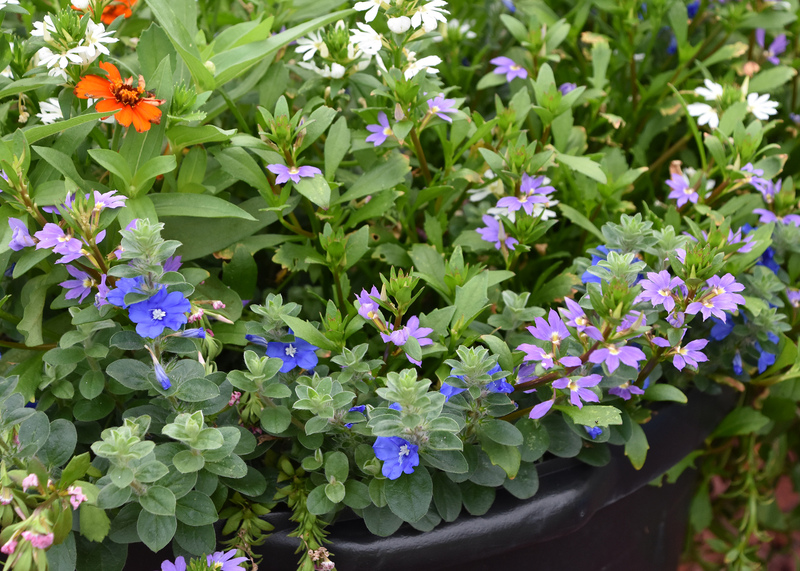 Even though it’s the middle of summer, there is still time to visit your favorite garden center and choose some plants for your own combination container.